Found within the famous Hard Rock Hotel in Bali, Rock Spa is more than a spa, it’s a different state of being, an escape and quest to push the reset button, a recovery zone and a transformative realm of unapologetic indulgence. Rock Spa is the ideal place to retune and indulge within a sensual environment that sets the stage for a textural journey using distinctive treatments and social facilities to seduce you into a gratifying state of restoration and tranquil bliss achieved through an unrivalled collection of signature treatments, rituals and facilities. 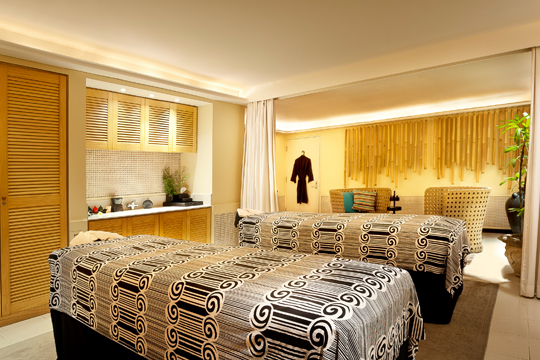 With treatments available for adults and kids, enjoy the Rock Star experience at Rock Spa. Choose from an extensive range of body treatments, facials and beauty treatments or relax with signature or traditional massages. 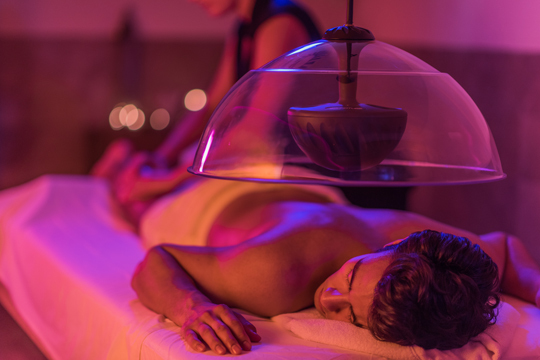 For sheer indulgence explore packages like Revitalize – foot cleansing, body brushing, a stimulating body scrub, shower and a signature Rhythm & Motion massage.